Forget Millenials; Why does barely anyone in Hartlepool go to church? I am picking on Hartlepool for a reason. It is because it’s where I live. But the question could be asked of Altrincham, Barnet, Chester, Doncaster, Ely, Framlingham, Godmanchester, Harrow, Ilminster or anywhere else in the UK, and its the question we’re scared to ask. For, its far easy to speak in the universal, the general, and label culture, people groups or generations, and use these as excuses. But we need to get real, and get local. Its not just young people who arent involved in churches , who get the forefront of strategy. Because, it’s desperately easy to only talk to church people or previously church people (the moaning millenials) as to what we’re the reasons they left and why they’re so important that church should listen to them. The fact is that in the UK there are no millenials who left church, because even 20 years ago there were barely any then 25 year old in church. It’s not the voice of disenfranchised millenials that the church in the uk might respond to. It’s the everyone else who’s barely been connected. And, if you want to see evidence of the moany millenials, see this post : https://wp.me/p2Az40-1eP and responding to, sharing and receiving this learning is popular (this post alone got over 100 views, my biggest in 2018) – but keeping and re-attracting millenials is futile in the UK, regardless of what they say. On the other hand, creating the kind of church that might keep christians going to it, is no bad thing, whatever age those people are. But its reality, and local (ity) check. Barely anyone goes to church in the places that we might still go to church. And it doesnt matter if its a university or non university town, a place with many churches or a village with just the one left. Not everyone is the same in each situation, , and why (as a critical friend of mine says) universal and general solutions dont work. Yet, nearly every church in Hartlepool is situated in a parish, or a housing estate, and surrounded not just by a cloud of witnesses, but a people group who witness and observe its very actions, or non actions. But also a people group of 100’s or 1000’s within walking distance of most churches. And churches in Hartlepool would be full if the people living near to them would go to them. The same is true in most rural situations, and probably most suburbs and cities too. Yet again, this is too much of a generalisation. But think about it, church leaders – forget the millenials, forget generationalisms, and sociological diagnosis, and get local. What did Jesus say, love your neighbour as yourself. Love your neighbour, love those closest who you might not know yet. Love those in the vicinity. Dont judge, pre judge, condenm, or drive a wedge between, but love. Love is more than the loud clanging gong of our worship services, but the moment of kindness on a Wednesday. Love is not just the prophetic words – but the fighting for and not giving up on people who feel lost and ignored. And believing in those whos gifts arent recognised. When Jesus said Love your neighbour, its so that we wouldnt worry about things that shouldnt concern us, but prioritise the local, the next door, the persons and families who are literally next door and in the same street. I mean, what if all the people in the same street as the church building, went to every church in the country? In asking ‘why does barely anyone in Hartlepool go to church?’ – so that in the areas of growing churches there isnt complacency. And that the church that is growing has a positive spiritual footprint in a local area. (and not just be a building that creates unwarranted traffic problems once a week). its not relevant enough (so changing pews for guitars, or books for screens, has seen the buildings combust with people?) all that happens here is that christians who like contemporary go to a contemporary church. actually very few people used to go to church anyway – just a slightly few more than today -and buildings were built 100 years ago for growth in mind. people in general are busier than they used to be – and church hasnt found a way that it has become meaningful in the everyday of peoples lives. people have been sick of being shouted at via a notice board. If thats the voice of the church locally as people walk past, then why bother going in. Yet even these are generalisations, there are specific things relating to the people in every street, family and community that mean that they dont go to church, believe or even want to. But if we dont find out in the real sense, through interacting, our strategies are only based on projections. Practically and Prophetically what might loving our neighbourhoods, streets and families be like, it has got to start with us, our attitude, our actions, our adaptability. 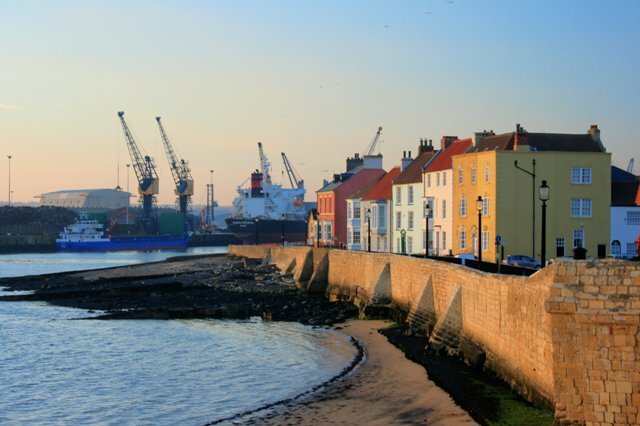 It is uncomfortable to ask – Why do barely anyone go to church in Hartlepool? Relatively speaking only a few millenials in the UK left the church, those that do often go and make their own church in their likeness. For many churches there’s still vast numbers of other people who might appreciate being involved in a loving and positive faith community that offers support, time, space and a connection to a world view that disrupts the rat race, or proclaims a view of humanity that isnt just the economic. The local situation is the one that every church finds itself in, but love as a general principle is message of the gospel, and the proclamation that God loves the world is the purpose of that Good news. Who cares what millenials think about the church. What matters even more is that in many towns and cities 199 out of 200 people dont even bother with it. Those who left the church might be encouraged to come back, and they have a loud voice at times. Loving our neighbour locally might mean listening to voices who dont get a say, an influence and often hidden from view. How might churches communicate to young people that church really is a healthy place for them?